Nashville & Chattanooga Railroad bridge at Running Water (Whiteside), Tennessee. Built by the Union Army (note Union Troops in picture) in 1863 after Confederate Army destroyed the original bridge during the American Civil War, this one was washed away on March 5, 1867 in the great flood. 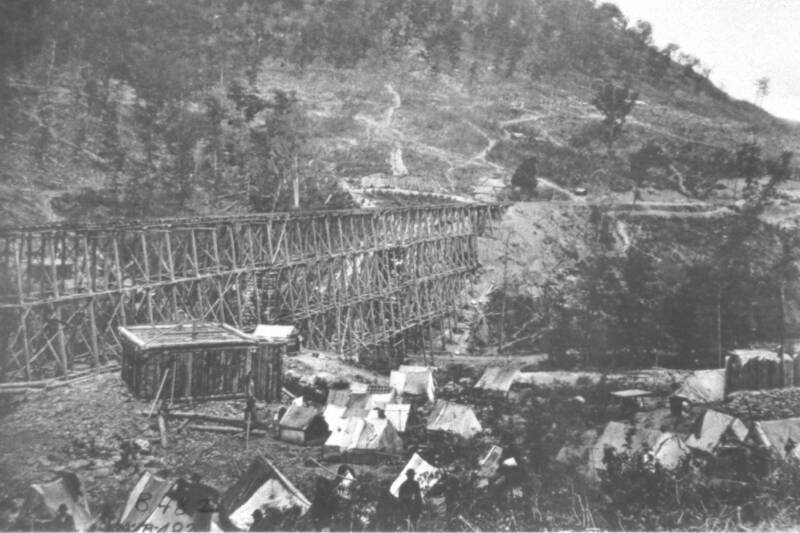 The above Nashville & Chattanooga Railroad bridge at Running Water (Whiteside), Tennessee is in the process of having construction completed by the railroad. This bridge replaced the one that was built by the Union Army in 1863 and washed away in the great flood of March 1867. Photograph Courtesy, Alfred M. Lambert, Jr. 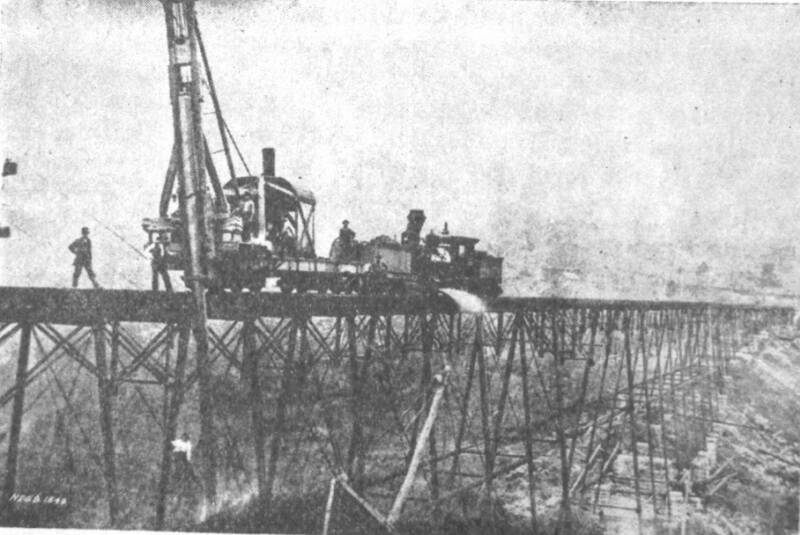 The Nashville, Chattanooga & St. Louis Railway built the above new double track bridge around 1924 to replace the aging single track bridge about a half-mile away. This bridge at Running Water (Whiteside), Tennessee is still in use today. Interstate 24 now also runs underneath the bridge.